ResourcesPodcastWhat's in a (Digital Product) Name? What matters most when it comes to digital product? Is it design? Is it the features? The functions? Or is it marketing? Anna: What matters most when it comes to digital product? Is it design? Is it the features? The functions, maybe? Is it the perception of your product that matters most when you're growing? Today we go inside Mimir with Cara Wagner. She's a director of marketing and head of public relations. First, what is Mimir? It's a software company that grows the software engineering workforce through their core product, Mimir Classroom. A name that has a story of its own, but before we get into that, let's get back to that question of marketing and PR. Where does it fit when you're scaling a company and how should product companies really be thinking about their strategies? Christian: When we talk about digital product here at Innovatemap, we help companies design scale and create better product. But what we don't get into much is the marketing side and definitely not the PR side. So when I personally think about product marketing, I kind of think more about how well we create a story that's worth telling and one that helps capture the product in a way that can be used for those other marketing activities. Anna: And what about PR? You always hear the negative, like when something or someone is in trouble, you don't hear a lot about startups or product companies in general leveraging PR as part of their longterm marketing plans? Christian: Yeah, it's more thought about in the moment, like on the negative side when a founder writes something dumb on Twitter or on a positive side when you're trying to drum up interest for a new feature being launched. Anna: Exactly. Well Cara gives us a brand new perspective on how product companies should actually think about marketing and PR and not in hindsight. What I love about her story too is that when she came on, there was no marketing in place. She was the first, and it's safe to say she's among the minority and holding this dual title of marketing and PR. Cara Wagner: Marketing didn't exist, therefore it wasn't collaborating with sales or product and there was a sales team, but there wasn't necessarily a product team. Our CEO is kind of all the things, but there wasn't a designated person there yet. And so for me it was a blank canvas. Christian: A blank canvas. As a designer, that's a dream because having a blank canvas really gives you the opportunity to create and be a part of that story from the beginning. And when you're a founder building a company from scratch, you have to be creative and you have to rely on more than just one form of marketing. At least that's what Cara shares. 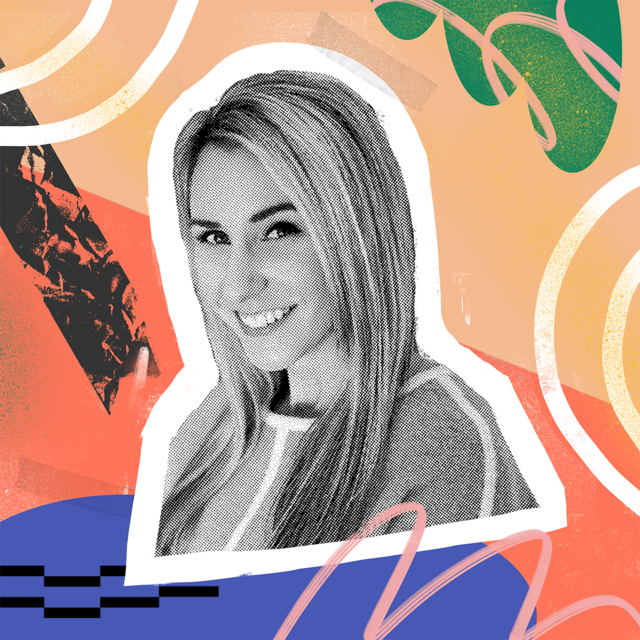 Anna: And her perspective is really exciting because in our conversation she dives into how both traditional and digital marketing are playing a role in the growth of Mimir. And to your point, while it was a blank canvas, from a marketing standpoint, the product already existed and sales we're already being made. Cara Wagner: So I'm in a unique role where I toggle between what's technically happening in product and what is happening in the conversations with sales and I'm communicating the technical things in a more readable, legible, simple way. Christian: In her role, she's filling a void, if you will. She's having to be both the product marketer, traditional marketer, and playing the role of the PR person. That's a lot. And what's interesting to me is that in each of these roles, she's having to take super technical information, communicated back to the team as well as put it through a lens that would drive engagement from a marketing and sales side. Anna: And what she really gets at is that everything impacts everything else regardless of the role from the sales conversations, the internal conversations about the product, even how the customers talk about it. Christian: Yeah, let's kick the conversation off there. Asking her to share how she took a technical feature of the product and translated it to both the sales team and out into the world. Cara Wagner: So we have a particular feature on our platform which we call code questions. And it allows an instructor to see how a student codes a particular piece of a problem. And we call them code questions. Our customers do not. And we were kind of setting the stage for what these we're going to be called. We had to do some research to figure out anyone else in this space, do they offer this? And if so, what is it called? If not, what should we call it? And that's ... I first had to understand what it was before I could help name it and what I should even search for. Christian: Why is it so important to spend any amount of effort figuring out what to name something in the digital product world? Cara Wagner: Oh my gosh, that's so important. So when we were looking to name this thing, it wasn't just that piece where we talk about what are other people calling it? Does it have a name? Does it exist? Think about SEO. You're going to put this word all over your website and your help docs. What other affiliations does it have? If it's a word out of context might not align with what you do. Do you really want to try and rank for that keyword? Probably not. That can get pretty costly. Is there already a trademark or a copyright on that word? Is it a competitors word? Is there a way ... Should you be calling it the same thing because it's an industry standard or does it make sense to rename it? So there are a lot more things that go into that. Cara Wagner: Another thing I would also recommend is doing news result searches on that word because you might find that the way that word is referenced or mentioned is not an alignment that you want to have with your brand. So I try and take off this marketing hat for a minute in a way, quit trying to stare at the tree of naming the product and look around the forest and see all the other things that are affected by this and really try and have a holistic view of all the other factors that are going to touch it. Cara Wagner: That's our website. Yeah. Christian: The website, right? So, Mimir was Mimir and now there's Mimir Classroom and Mimir Workforce is that, right? Or Mimir Classroom is now what Mimir was by itself. So I love to understand how that process started going from one product where the name is the product to now having multiple products. Cara Wagner: When I began with the company Mimir was the name of the company and the Mimir Classroom was the product. But a lot of our customers shortened the name of the product and just called it Mimir for simplicity. And when we decided that we were going to add another product, we had this realization where like, "Oh dear, we have named our company Mimir, our product is Mimir Classroom. But there's a serious gap between what people actually call the product and how they differentiate the company. How could we add another product without adding confusion and how do we do this?" So when we decided that we were going to have to address this issue, we tried to do so internally. I recall having maybe three or four meetings and it seemed like every meeting went the same way. Yes, there's a challenge. Yes, these are the things that people are saying. Cara Wagner: This is what we think. And when it got to the this is what we think. We had a product manager, a marketer, a CEO, a designer, people coming from all these different ideas of thought, trying to align on the same next steps. So the first thing that I did was I took the floor and I said, "All right, this is our product, Mimir Classroom. This is our brand Mimir. You need to differentiate the two in conversation, in writing. It doesn't matter who you're talking to because right now you are the subject matter expert on this and we need to clean house in here before we can clean it up out there. So, that was the first thing. Christian: So yeah, I want to pause there because I don't think it ever really thought about that until now that, because I always think about product from the outside. But are you saying that on the inside there maybe people internally who are contributing to this problem? Cara Wagner: Oh, yeah. Absolutely. We were all at fault because sometimes we would take after the customer. It's sort of like in an email. If I sign my name as Ms. Wagner or Mrs. Wagner at the bottom, when you respond to me, you would say, Mrs. Wagner, it's so good to hear, right? You follow suit. It was almost like we, if we got a request from a customer or an email, if they said Mimir to simplify Mimir Classroom, we didn't correct them, we just went with it. That's one example. Or you know, if we're talking to them on the phone or on a demo, we simplify because we're limited on time. We call it Mimir, and you've got to be very, very careful. Everything that comes out has to be in align just as much as it would be in print or on your website or anything else. All these things have to work together. Christian: So your first step, clean up the language. Cara Wagner: Clean up the language and it was kind of odd to call everyone out and to say, we're doing this myself included, we need to improve. Christian: Sounds like what you're describing is building a foundation more than like we're going to start talking differently and then everything's going to turn around tomorrow. It's more like we're going to start doing this 'cause it's the first step towards us actually building that foundation to actually grow the product line. What was the point you decided that you needed a new product at all? What was the business driver for that? Cara Wagner: Our founders had a vision more than, where I onboarded, right? They had the ability to see the future and to see where they wanted this company to go and how they wanted to grow it and change it and this was part of that. That was already kind of grandfathered in and we just got to hop on and get on for the ride, which is really exciting. But overall I think that the two really work to meet our overall company mission and vision and I'll just align that back to Mimir as a software company that grows the software engineering workforce. So between those two products, that's what we're trying to do. Anna: So was there ... Like you said that this was always in the car, it's like this was always going to happen, the workforce was going to come out or was it like, “Hey, we're seeing this, or people are asking for it.” or was there any like market, you know, sparks that were causing it? Cara Wagner: I think that they had more certainty that they wanted to satisfy this perceived need, whether they were going to call it workforce, whether they were going to ... However they were going to bundle that up and package it and use it or launch. It was still TBD, but there was vision for it. Christian: It's kind of tag on you. Has that always been the tagline of Mimir? Cara Wagner: No, it has changed. And when we talk about changing the name of really differentiating the product from the company, we had to take a step back and realign that statement because the statement we were using didn't separate the product from the company. In fact, it probably created more confusion and allowed for it to happen and it was hard to almost break them up, right? But I think that it's been clearer to people what it is that our company does and what that specific product does and that matters. Anna: Why is it important? Do you think that everyone knows the tagline is saying the same tagline? Cara Wagner: I think if you're not aligned in that, then you're creating different expectations for your brand. Sometimes expectations that can't be met, and I've often heard, I like to refer to the teaching analogy where they say that when a teacher is teaching a classroom, there's like four or five students who actually get what's being said and the rest of the class kind of has to piece it together, completely misses whatever it is that's being taught. It's the same concept. If we can simplify this a little bit more and make it very, very clear, maybe more people will understand it and if you need to go into sentence two, three, four, five or whatever, that's okay. But at the first glance they should be able to try and grasp what it is that you're saying. Cara Wagner: Something I've noticed, especially in tech, if you're at an event and someone's explaining where they work or what they do, most of the words in the first tagline are so industry related that they're just over my head and I can't even begin to unbox what it is that you're trying to say. And so when we started looking at how we wanted this tagline to be structured, I tried to bring the PR mentality to it as well. If I'm writing a press release that shouldn't be above more or less a fourth grade reading level, should our tagline be? Probably not. Anna: Do you think it's because of your outside, because you worked outside of tech, you worked in so many different agencies, do you think you were able to bring in perspective? I'm just curious cause I mean obviously Mimir has doubled since you started with them. It sounds like you've had a lot of success, aligning the organization around, how you talk about Mimir, around the brand, like what's your next big thing? Cara Wagner: A new product, new product launch that is going to be different. There's going to be a lot to learn. You can take what you've learned in refining a product and making it better to hopefully making the launch smoother and better of a new product. But there's going to be speed bumps. Nothing will be perfect. If you can anticipate that it won't be perfect. Just get in that mentality not to be a pessimist. It's just acknowledging like this is not going to go, flawlessly. Then you're actually more prepared than you think and you can handle when things don't work and you're more apt to be able to fix them. Anna: So coming from a traditional marketing background, I mean obviously you have a lot of experience through that. Where do you feel like you were able to apply some of those more traditional marketing techniques in this digital space? Cara Wagner: I have a background in traditional marketing where we did a lot of paid advertising. We did grassroots marketing, we did a little bit of social media marketing blended in there. The grassroots would be, I'll give you some examples. Grassroots may be you're doing a poster blitz or you're going to distribute flyers, or you're going to put together a promotional team who's going to go out and spread the word. It is a bit more old school. It's a lot more involved. It usually involves more printed collateral or manpower boots on the ground, if you will. It's not the person who sits up in the tower and creates a strategy. It's the people on the ground who makes sure that it happens. That's kind of what grassroots is. So by taking some of those unique grassroots tactics and weaving them into the promotion of a digital product, it's almost like so unexpected that people respond to it. Cara Wagner: And one example I'm going to give is attending an event. Let's say that you're going to an event and you're going to promote your company that has a digital product, rather than sending people an email and telling them, "Oh yeah, stop by our booth. We're at this event. We'd love to meet with you." Like how many emails do they get a day? But if you have a person posted outside of the event handing out stickers, that's just odd, right? Like that sticks with you. And then they might pop by your booth or that brand. Now they're curious, they're more likely to take a next step, whether it's good on your website and learn about you convert, trial you, whatever it is. So it's figuring out which of those grassroots tactics, whether it's flyers or posters or stickers or mailers, whatever it is that you think might fit into that bucket and aligned with whatever your goal is, you do it and you use it as one of the touches that nurtures your prospect or your client into your funnel or further through your funnel. Christian: So let's dive into that a little bit more. It's because I want to understand how you decided what was sort of the Mimir way. So when you, when you think about that and you looked at Mimir how did you decide, all right, these are the ideas that I've got that sort of fit in that you could execute on. Cara Wagner: Yeah, the biggest thing is our persona. So right now the core persona of our core product is of a specific age. They have a specific lifestyle. They communicate in a unique way, and so integrating those grassroots tactics was about meeting them where they are. They're not going to want to just get emails from us. They don't want to just get phone calls from us. So how do we become relevant to them and what do we need to do to be a little bit more intentional with our outreach to them? And that's kind of where that came in. Just also being intentional about how those grassroots tactics could replace some of those new age methods that are being used to gain new business. Christian: I would be remiss to not touch on the other aspect that we haven't really at this point. You wear many hats, maybe three hats. I don't know. You have a lot of hats. One of them is the PR hat. And a lot of our work with startups, we talked earlier about your marketing design. Sometimes it's hard to see the value of that right away and it's more foundational. I hear a lot of the same with PR and the best thing I've heard about PR so far is just that like, it's hard to convey the value, but if you don't have it, it becomes clear. But in your role you are wearing all these hats, which is fairly unique. How does PR play into your strategy with marketing? Cara Wagner: So what's really awesome is that I don't have to communicate to someone filling a PR chair what we need to do to cross promote, whatever it is that we're doing. And so, marketing and PR would work closely together, much like marketing would work with design and product and sales. And in this way, it's all kind of bundled up. So I'm able to say, all right, we have this change coming to our products. I know that it's going to impact more than just our current customers. I might want to do a news release about it, or I might want to have our CEO do an op ed or contribute somewhere else so that we can talk about this publicly. It's nice that it's all kind of under me and so I can make sure that I'm managing it appropriately. But what's really unique about one person doing marketing and PR is that I think it's very rare. Cara Wagner: It's something I think we'll see more of in the future. But the reason I think it's rare is because traditionally if you study marketing, you're in a school of business when you're in college and when you study PR, you're in a school of communication. So neither of those are under the same roof, if you will. And so to have someone who decided to study marketing and minor in PR or double major is more of a rarity. But where you're seeing a lot of this PR trickle through into the marketing side is a lot of journalists are leaving their posts at traditional print publications and they're taking on content marketing roles and they're writing quality content for companies as marketers. And so whether or not they have that strategic mind or if they're grown into it or they mature into it, I think that we'll still continue to evolve. Cara Wagner: But I really do think having both is a huge asset with one person and it's something that, at Mimir we're very lucky. I'm lucky that they allow me to do both and they trust me to do both and don't think that I'm doing one well and just kind of halfway doing the other one. But it does 'cause you'd have to be able to toggle between different parts of your mind and to turn off marketing strategy for a minute and handle something really pressing with PR. Anna: Do you feel like you're also going to see it more because it's more relevant, it's more useful? Cara Wagner: Content is getting so competitive. Think about how hard it is to rank on Google. I mean there's a lot of other factors at play, but your content has to be good. You can't just put something on a web page and hope that you're going to rank and if you're not writing quality content, be it on your website and on your blog consistently you're going to lose ranking. And so it's an investment to have somebody writing quality content for you. Even if it's refreshing your site from time to time or putting new written content out in blogs or social media or whatever, it's still relevant. It really matters. Christian: I understand the difference between marketing and coming from business in PR firm communication. What are the synergies for you in your mind? So where do those two things intersect in terms of goals? Cara Wagner: Usually most of my goals are marketing focused and there is a PR element to them. There could be a tactic that's very specific like write a news release, discussing the launch of whatever, but my goals aren't necessarily PR specific. PR goals should be driven by the product roadmap, in my opinion. And if your product roadmap doesn't justify the promotion of something publicly, then you shouldn't just be talking to be talking. Sometimes there are things that do need to be said and sometimes there aren't. And sometimes PR is very unexpected. Someone wants a quote about a story that they're writing and you're relevant and that's a way to still contribute without creating your own PR content, if you will. Cara Wagner: But also being able to recognize, "Hey, we have this change happening in our product and I know that you have a request to have a statement from us, but I think that there's going to be greater contribution in about two months. Can we dock at this and come back to it?" It's great to be able to have the visibility in that product roadmap to align that to PR and not focus your goals on PR, but really use it as a supplement to the rest of what you're doing. Christian: It's all very unique to me. But I think tying it back to where we started to your role, Mimir needed marketing and they probably didn't know you said that they don't know what they didn't know, which I think a lot of founders find themselves in that position. Maybe it's not what the marketing role, maybe it's with UX design, which is which is a nice background. But even with the marketing role, with the founder, they might say we need marketing, but we don't really know what we don't know. That also means they may not know what they need and the role. And so I'd love to hear your thoughts on if you are a founder building a company from scratch and you're adding marketing, what should a founder actually even be looking for in that role? Christian: What is a marketing strategy. Cara Wagner: So marketing strategy would outline, let's say that I write a marketing strategy for a particular objective on our product roadmap and in it I outlined all the things that are to come out of marketing to align with that objective and to make sure that it is accomplished and it would have all the tactical pieces outlined and it would all more or less filter up so that it would all align, but it would have all the tactical pieces laid out so that if I didn't meet the goal, you could look at it and see exactly what it was I didn't do. Cara Wagner: Or if we reached capacity and something else happened, we could look back and say, if we did like a close out a stop, start continue. We could say, maybe the reason this wasn't as successful as it could have been was because we didn't finish these tactics. Conversely, it could be we absolutely nailed this and this is why. These are all the things that we accomplished. This was the impact that we made. So a marketing strategy is incredibly important and if someone is able to write them but they're not comfortable executing at least until the team can grow, that may not be the best fit because unfortunately that person would probably have to do what they're planning even though, if there were more hierarchy, they would just be in charge of the strategy and not so much the doing. So if you're young and you're just trying to add a marketer to your team, making sure that somebody is comfortable doing both and can do both is really important. Anna: What do you mean by, give an example of execution, like a tactic execution. Cara Wagner: So maybe, maybe a strategy has been written and there's a particular piece around email marketing and making sure that you're being relevant to the prospects that you're seeking out for your organization. And in the email marketing, the tactics are to identify different subgroups who could be enrolled in campaigns and after you identify them, you want to create custom copy for email cadence that's going to go out. You backdate that cadence, you distribute that cadence, and then you write reports on that cadence. Or you're able to say with certainty, X number of opens, X number of clicks, what's the attribution on these prospects, things like that. So those might be five tactics nested under a particular strategy within an overall objective that ties into your product roadmap. Anna: So what does better product mean to you? Cara Wagner: Better user experience, making sure that the customer can approach your product for the first time and get it. Christian: That was Cara Wagner from the Mimir. You can check them out at Mimirhq.com. That's MIMIRHQ.COM. Anna: This interview with Cara was really great. I think has such a cool perspective. She's coming to tech from outside. I think she did a lot of work in non-profit and she's also coming from a really traditional marketing background. And I think the way that she's integrated, a lot of those techniques that she learned there into the tech world is really working well for her. Anna: I mean you guys know. Christian: Right. Exactly. It's not 'cause we don't know. I think it's useful because I think a lot of people in product aren't always going to have a lot of product experience including with marketing. So I think it's not uncommon that you're going to be coming from a traditional marketing role when you go into product marketing. So I think it was really great that she broke down some of the nuances and I think brought some of the best practices to Mimir. And I think one place that we could kick this off is really breaking down sort of what it was like in terms of naming the product and what the way you talk about a product means internally and externally. I'm curious for you because one thing that I remembered that I think you would agree was important is how, when she was talking about naming a product, how it started with understanding how people talked about it in the field. Anna: Code questions was a specific example that she gave. And she was saying that they did some research to understand, what are people calling this? How are they referring to it? It's not just for a cognitive alignment, but it's also that, people actually have this problem. That's what they're going to Google and that's what they're going to search for. So if you can name a feature appropriately, you can literally help the marketing team get it to people. Anna: He said customer informed not customer driven. Christian: That's right. Customer informed. I almost think about that with Cara when she's talking about that too. It's almost as if the messaging and the naming has to be a customer informed and not customer driven. And I think it's important because, oh I will just admit what I thought about naming things before getting into this job. My background is in UX so I don't think about this a lot, but at least when I was designing features I felt like features were either on one extreme, highly ... I'm making air quotes “market-y” sounding, really cool snazzy names, but then swinging on the total opposite side, they were just very functional oriented. Christian: You have like navigation items in your product for analytics or reports, you know. But I think what Cara is doing is something we do know from design which is going and doing research first to figure out what people are actually calling it to begin with. And then you leveraging that and, and using that to influence as opposed to just saying, all right this is what we're going to call this and then we're just going to make everybody like get in line with that. Anna: Yeah. Going back to Dan Moyers, customer informed versus customer driven. I think it's interesting to tie it to title features based on the problems they're solving versus maybe the outputs you want from them. 'Cause I think there is an opportunity for familiarity but also for thought leadership. Christian: Yeah. And I think she, well, so that, that kind of leads into the the whole idea that Mimir Classroom was always a product but Mimir was the company name. And then she mentioned the challenge of okay it was not a big deal when everybody was conflating the two. But then once they wanted to introduce a new one, Mimir Workforce, all of a sudden all those issues became, bigger issue. But I think before we continue on that, I think tying to what you just said, the choice of those names I think kind of speaks to what you said about it being outcome or almost market oriented. The product being called Mimir Classroom and one being called Mimir Workforce makes very distinct separations between the audiences that those products are for, which I think is smart. Anna: When she talked about the brand hierarchy, so a lot of their customers were calling Mimir Classroom Mimir, and she was saying, they were doing that internally. So their first real step, like she said it was clean house, which I don't think that means that she fired everyone. Christian: Well, we don't know. Anna: We don't know. Yet to be seen. Christian: Depends on what people are saying. Anna: That's right. I think it's more getting alignment internally, making sure that they are speaking correctly about the brand, and making sure they're referring to me were in classrooms so then when workforce can join the family, there's space for it. Christian: Yeah. I think this comes up a lot when we talk to startups because I think the most basic thing we'll talk about a lot at Innovatemap is how you kind of talk about your company separate from your product. Meaning like there's ... for Mimir there probably is like there's Mimir the company that people work for that has its own sort of brand and then there's Mimir the product. We usually say that just because when you start a company in the product space, it's a product first and a company second. So you're not really like, "Hey, look at this new company." Like nobody would say, "Hey, look at Mimir. Look at this New company. I found they're always going to say product. And so I think when you start out, you have to figure out how you're talking about your company and product. Christian: But in Mimir's case, the product and the company became one and the same. And I think it shows what, like one of the key problems is with that path. Because if those things become tightly coupled together, it makes it really hard to add a new product and I think that's what Cara talked about a lot and I think it's why we're always advising startups around the name and the way that you're talking. It doesn't mean that you have to have a company name and then highly branded names for products. It can be simple like she's saying Mimir Classroom, it's not a markety sounding name, it's very descriptive, but it's distinct from Mimir and the importance of that is that it allowed them to create Mimir workforce. Anna: I think a lot of company ... I totally agree with you. A lot of companies start out name and product synonymous and I think a lot of them seem to rise up and just have, like you said, those branded sub kind of their features or products get kind of named underneath them. What do you think the different strategies are there? Why would you do one as opposed to another? Christian: I think today what you're starting to see is you have like one product to start and then you have these new products and then these shared features. I think one of the things that we would love to riff about that we use personally is Dropbox. And I think one story that I remember reading, a long time ago, their co-founders were discussing selling Dropbox to Apple and they turned him down, but Apple viewed them as a feature. It was just a sinking feature whereas Dropbox had dreams to actually build out products around it. And this is I think maybe between 2009, 2011, I can't remember when this conversation was with Apple, but they turned them down and people kind of thought they were crazy because sinking is just a feature. But what they knew was that they're going to build products and we use Dropbox internally for sinking. Christian: We started using that what, four years ago since then they've come out with Dropbox paper. You use Dropbox showcase a lot. Christian: And when Dropbox started, when they started going down the road of adding more products almost two years ago, they had a major rebrand where they simplify the icon. They created all these creative things around it to help make that separation. And then from there it's made a lot of sense. So Dropbox got elevated up a kept his core identity and what they started doing just started putting all the emphasis on the products. I'm a lot more, I think what Cara shows, I think, I don't know that there's a best practice other than just being totally aware that things have got to grow. But meaning like 'cause you don't know where it's gonna go. I don't know that Dropbox knew. They knew that they were going to grow a product line. Christian: They probably didn't know what the products were going to be. They probably just knew they were going to grow. And so I think that there's some best practices there, and I think one thing that Cara talked about is internal alignment. I mean she talked a lot about all the conversations they had to have between themselves. Like what are you calling it? What sales calling it. What do you think this is? Anna: Are we part of the problem? Are we talking to customers this way? We need to clean up our own. Christian: Right, and I think to answer your question with Cara's answer, which is what are best practices, she also went out to the field to see what people were calling it, so they weren't just trying to create, invent something that wouldn't resonate. It was inspired by others. Anna: Thanks so much for listening to the show this week. If you haven't yet, be sure to subscribe, rate and review this podcast. Until then, visit Innovatemap.com/podcast and subscribe to learn how you can take your product to the next level. As always, we're curious, what does better product mean to you? And it's up on Twitter @innovatemap. Or shoot us an email at podcast@innovatemap.com. Anna: And I'm Anna. And you've been listening to Better Product.